What are limiting factors in the Pudding River Watershed? A limiting factor can be defined as any factor (living or non-living) that limits the growth or potential of a species or an ecosystem. Living limiting factors are known as biotic factors, and they can include keystone species like salmon, that are important to the rest of the food chain and biological processes in the ecosystem. When salmon populations are reduced, the whole ecosystem is stressed. Non-living limiting factors are known as abiotic factors, which can include water temperature. When the water temperature gets too high, it limits the survival of some species and changes the water quality. 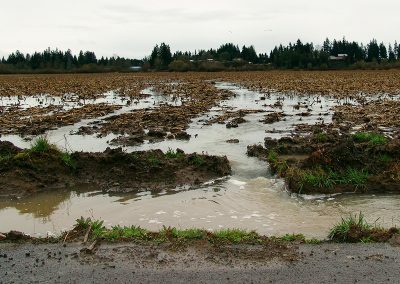 In the Pudding River watershed and many others in the Pacific Northwest, temperature is a limiting factor for productive, healthy cool-water fisheries (please see our Rapid Bio-Assessment). Stream temperatures are rising due to climate change – as air temperatures increase, water temperatures do, too. Additionally, out-of-stream water uses intensify and flows become very low, further impacting the fish. Meanwhile, salmonids become increasingly stressed as juvenile fish attempt to feed and rear in very low flow conditions of warming waters. Scientists have found that some salmon will not migrate through stream reaches with temperatures above 71 degrees F (21.7 degrees C), and they prefer to spawn in temperatures between 40 to 50 degrees F (4 to 10 degrees C) (Richter & Kolmes, 2006). In the summer of 2018, the USGS has recorded water temperatures fluctuating between 62 to 70 in Clackamas County, approaching the upper limits that salmonids can tolerate. These temperatures are high enough to cause fish significant stress, and may stop them from successfully spawning. In 1999, the Oregon Department of Fish and Wildlife studied the Molalla -Pudding river system, and found that that low streamflows and warm water temperatures in the summer are the two most significant limiting factors for fish in the watershed. Since then, temperatures have likely continued to rise. As temperature goes up, the amount of dissolved oxygen in the water goes down, further stressing fish. Due to these concerning trends, thermal refugia for fish are very important. Thermal refugia is a place that provides shelter in the form of cool water, where fish can escape waters that are too warm to survive. This could be a deep, cold pool or side channel where fish seek refuge (FishBase, 2018). 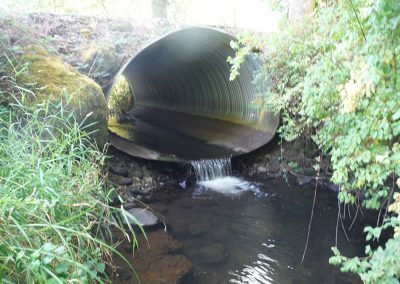 For example, Davis Creek provides cold water habitat within the Abiqua sub-basin, and is therefore, a valuable reach that needs to be protected and provide access for fish seeking its habitats. At the Pudding River Watershed Council, we understand the importance of fish habitat and are striving to improve local conditions for species like salmon and trout. 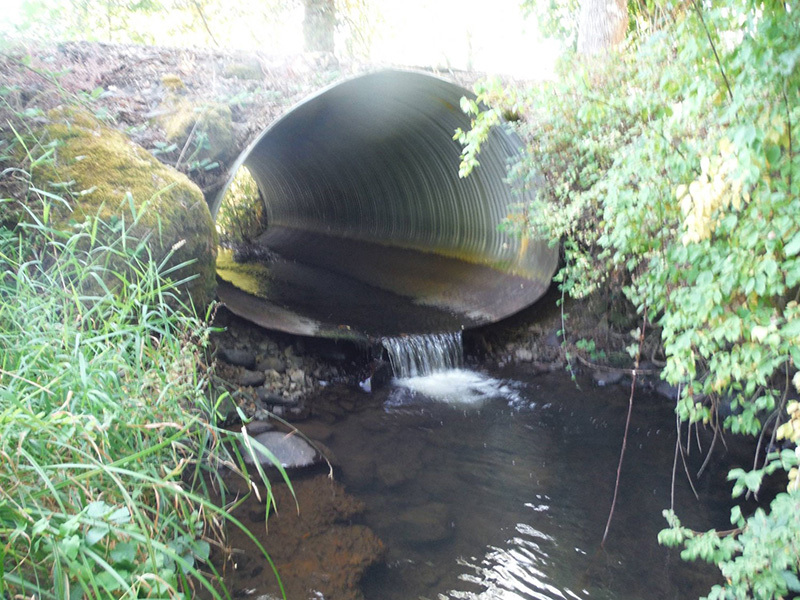 Our projects include installing large logs in stream channels and restoring native plants along stream banks to create colder, more covered, and more complex environments required by our native fish. Please take a look at our projects to learn more and see how you can help our native fish recovery efforts. Fish passage projects will soon be initiated.